Last week our theme was “all about penguins” and as this was the main subject of all our circle discussions, we knew we had to make our very own ! Finding a penguin art project was easy and fun (pictures below) and although we initially thought that we’d use black paper and markers, we decided that using paints would be more fun. We mixed together red, blue and yellow paint to make a blackish sort of colour, used sponges to apply the paint and paper plates for the bodies. 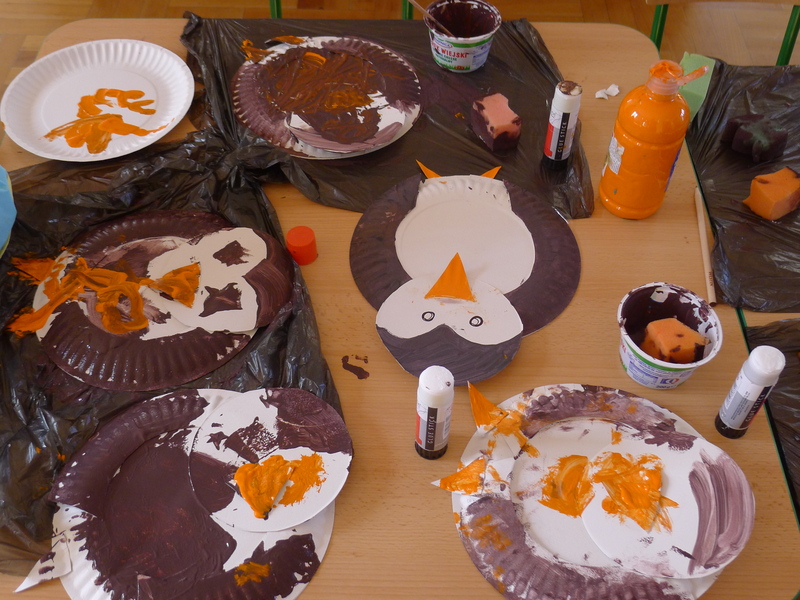 The younger children got a template that was pre-cut for them, so they only had to glue together all their pieces and paint away! 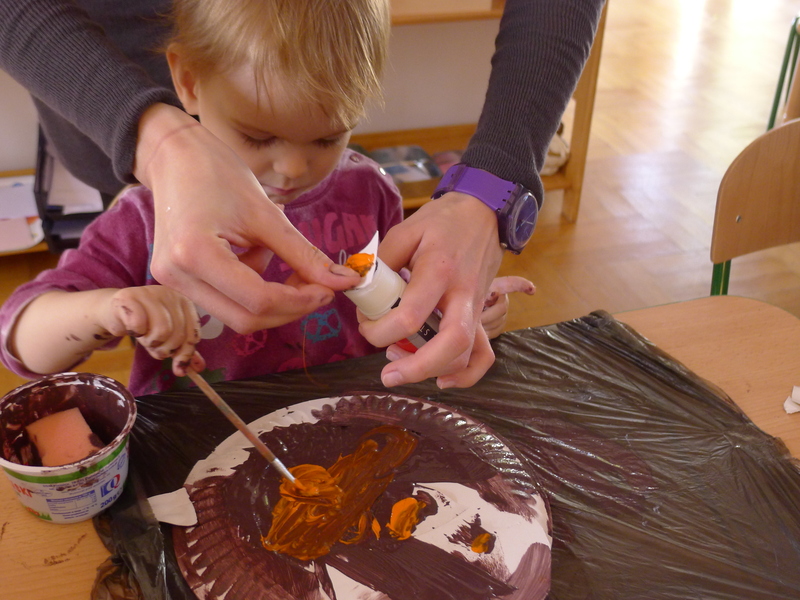 The children able to use scissors cut out their own pieces to glue before painting. As always, not every penguins’ beak ended up in the same place, but that’s what happens when you let the kids decide for themselves where they want to place their pieces! 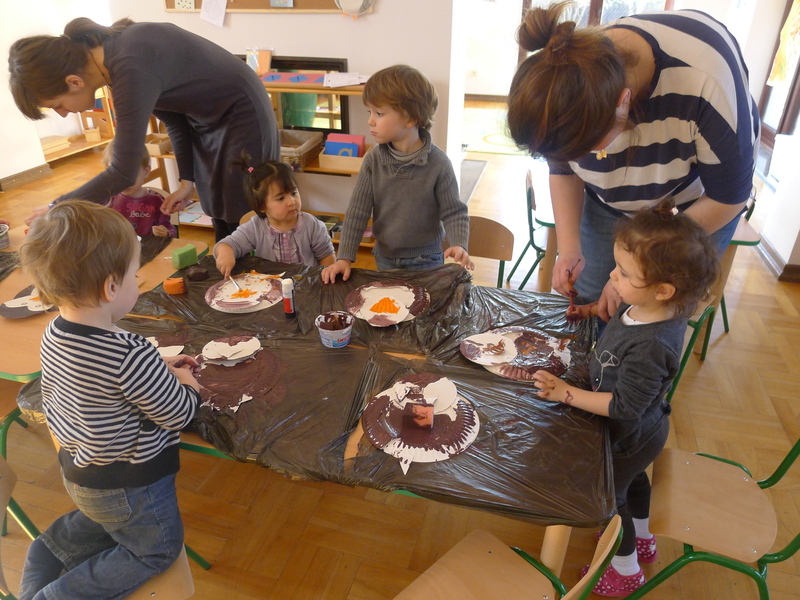 Some kids also decided to use their hands instead of the sponges which turned out to be more fun than the craft itself! They loved squishing their hands in the paints, going to wash their hands then coming back for more :).